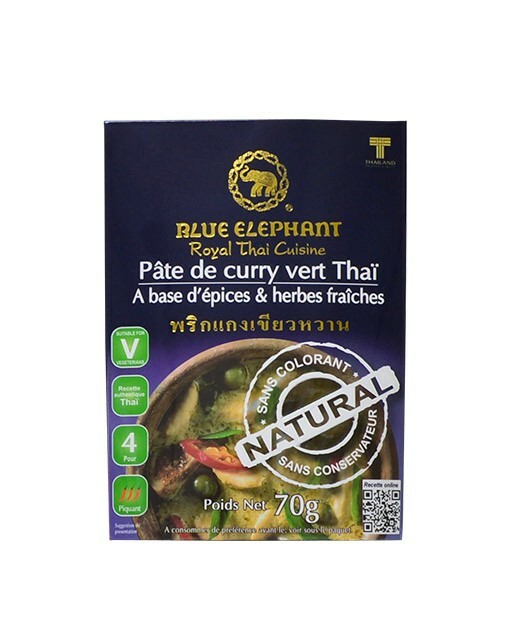 This Green Curry paste is made thanks to perfect combination of spices, herbs and coconut. This blends the sweetness of kaffir lime to the spicy of the green chilli. This paste is usually cooked with chicken but can also make a great vegetarian dish. 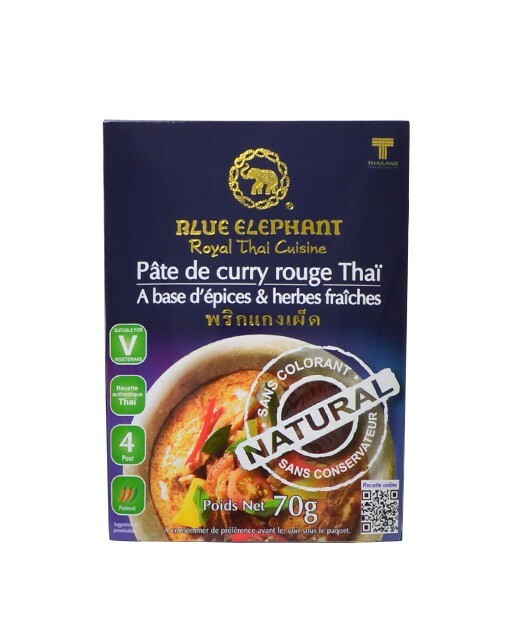 Green pepper, shallots, garlic, lemongrass, kaffir lime peel, kaffir lime leaves, galangal, coriander, fennel, nutmeg, sweet Thai basil, coconut, eggplant dwarf, coconut milk, water, cornstarch, sugar red pepper. 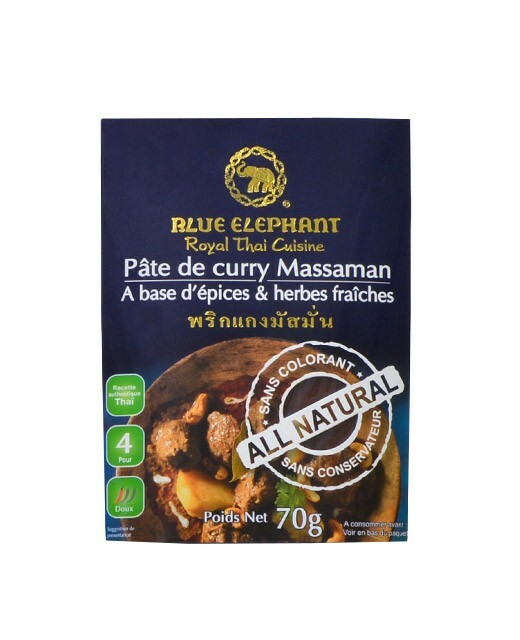 To let express all the flavors of green curry paste, fry this latter in hot oil for 3 minutes before adding the other ingredients. 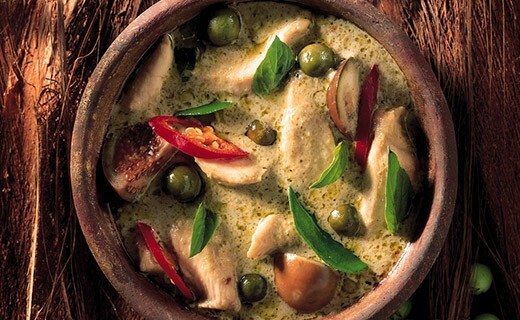 The green curry is perfect with chicken and fish. 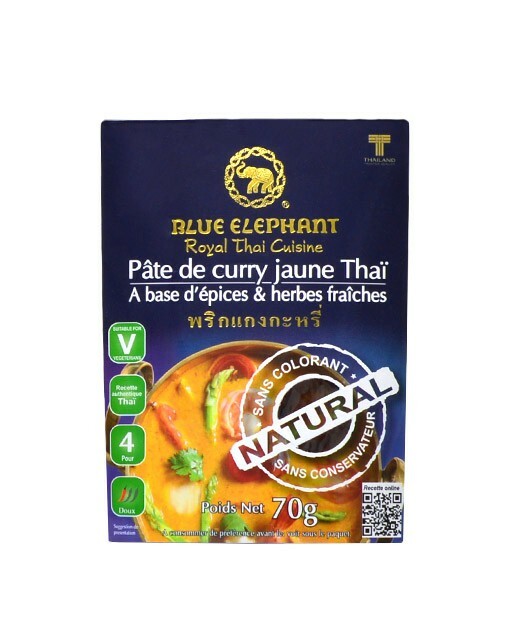 This is the most powerful Thai curry.